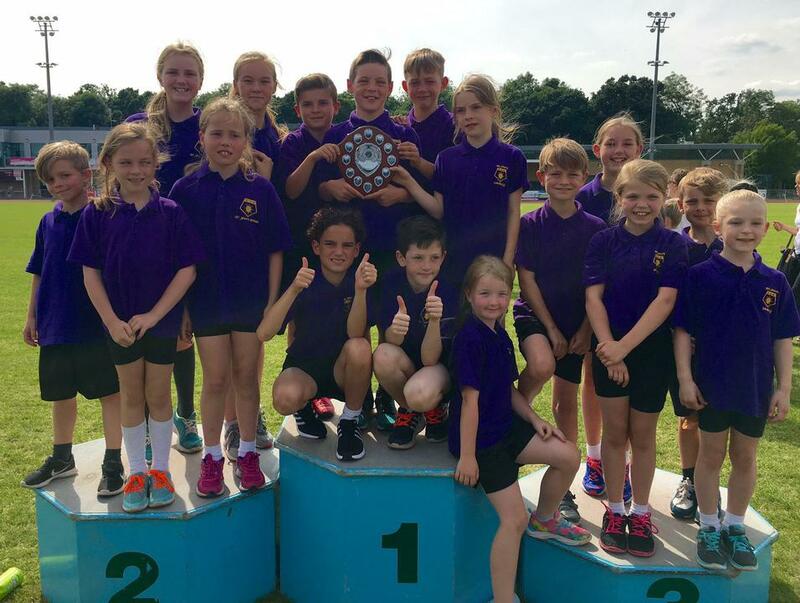 On Tuesday 3rd July St John’s took part in the District Sports field events. The children took part in throwing, long jump and high jump events. They showed fantastic skills and superb behaviour and sportsmanship. Well done to William S, Gabby S, Keeley S, Oliver P, Max H and Ana S who came back to school with a wonderful winners cup! 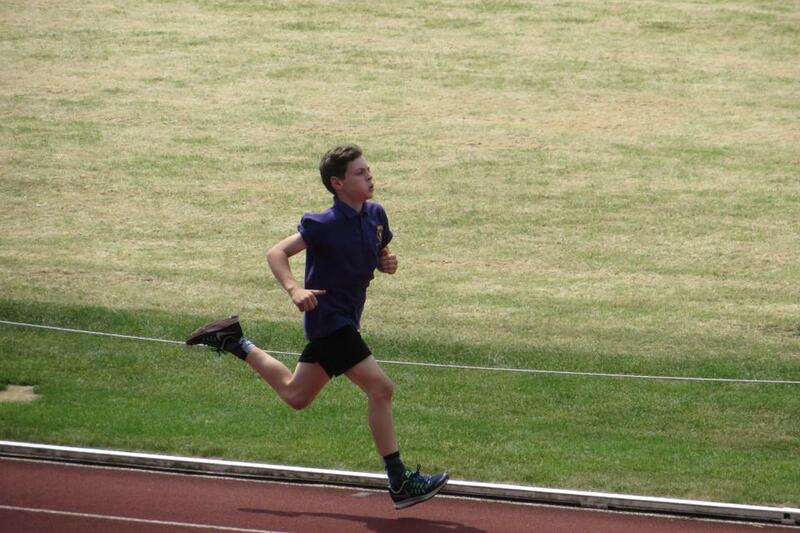 On Thursday 5th July it was the track events. Children from Years 3, 4, 5 and 6 took part in sprint, long distance and relay races and again showed fantastic behaviour, team spirit and skills. Well done to Max H, William S, Robert B, Gabby S, Laila D, Keeley S, Ellee-Mai B, Tegan C, Stan H, William D, Clark V, Jayden D, Lily-May T, Emilia D-D, Ethan L, Finlay C, Lucy B and Bella H who returned to school with a lovely runners up cup. A huge thank you to Mrs James for leading both events and to all the parents who transported the children to the events and gave the children so much encouragement. 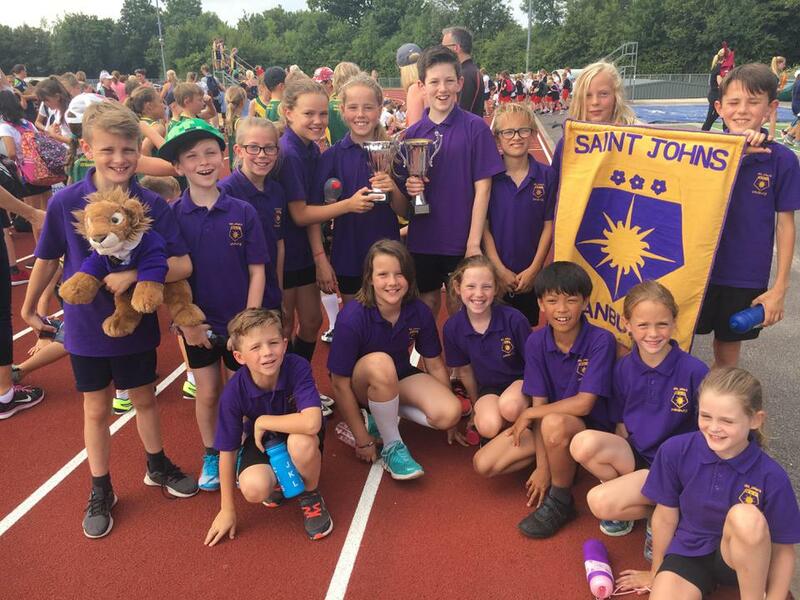 St John's took part in the annual District Sports event. Children from Years 3 to 6 took part in various field and track event at Melbourne Athletic Stadium. The children were wonderful at both events - showed terrific skills, sportsmanship and determination and as always beautifully behaved. Mrs James and Mr Hall were overcome by the talent this year and the children were awarded by receiving the winners shield in group 3. What an achievement! We now need to find some space for the huge shield in our trophy cabinet. Well done to: Ewan H, Lucas A, Ben P, Annabel N, Jess K, Maddie W, Clark V, Elliot B, Emelia D-D, Emma J, Tegan C, Ellee-Mai B, Stan H, William D, William S, Max H, Gabby S, Keeley S, Ben H and Klara G. Thank you to Mrs James and Mr Hall for leading the event and all the parents who came along to support the children. 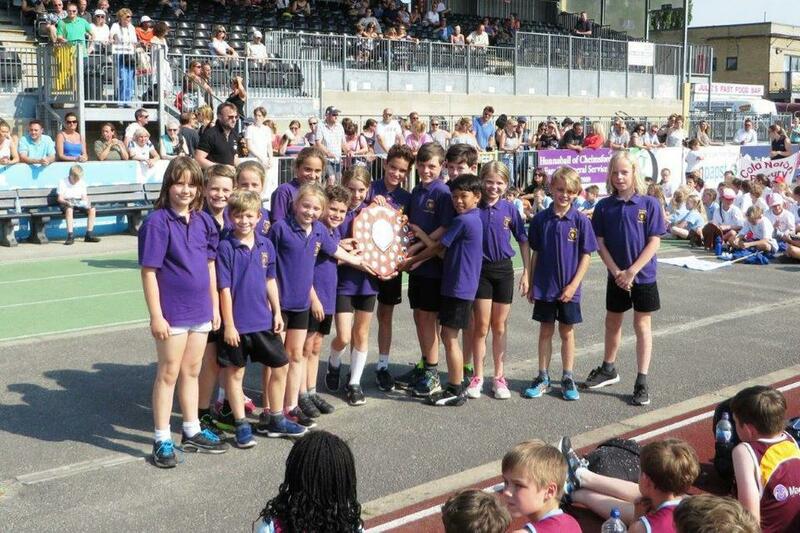 On Tuesday 5th and Thursday 7th July, St John's entered the Maldon District Sports Competition. 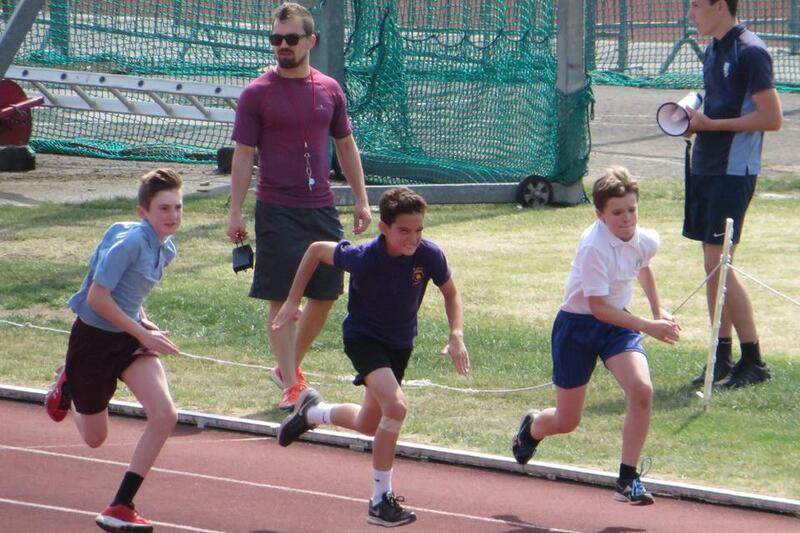 On Tuesday the children took part in the field events and Thursday it was the track events. All pupils that took part did our school proud, showing terrific behaviour, sportsmanship, effort and skills. We picked up a vast amount of 1st, 2nd and 3rd certificates and finished runners up in the group. Well done to: Mason B, Henry W, Brandon D, Josie H, Lily M, Chantel H, Ben H, James W, Lloyd B, Kerry S, Ben P, Lucas A, Annabel N, Jessica J, John R, William S, Gabby S, Keeley S, Rose S, Tessa H, William D and Stan H.
A wonderful shield to put in our trophy cabinet! Thank you to Mrs James and Mr Hall for giving up their time to take the children and for all the parents who transported the children to the event and came along to cheer!